I don’t know if any of you mamas out there feel the same way, but after I had Max, I was in a fashion rut. My body wasn’t (and still isn’t) back to normal. It’s been seven months, and I still have the last few pounds to shed. Maternity clothes are too big, my old clothes are a little too small, and scarily enough after having a baby, your body shape just changes! It’s frustrating! I mean…it’s all worth it blah blah blah but seriously, I can’t keep wearing leggings and tunics every day, ya know? I needed help! Get me out of this frumpy mom rut! Enter: STYLE ME PERFECT. The genius personal stylists got me out of my mom uniform by opening my eyes to the possibilities that already existed in my closet and suggesting some super smart additions that I could easily buy online! The result is I actually look forward to getting dressed in the morning. Picking out what to wear is fun again, and I have some amazing new pieces to add to my existing wardrobe. The package that was perfect for my personal needs was the Stiletto Style Concierge Service. I requested certain types of outfits (running errands, girls lunches, date nights, etc.) and my personal stylist sent me looks with purchase suggestions and pulled from my own closet. It was actually so satisfying to fill out their easy-to-use closet form. Not only do my stylists know exactly what’s in my closet, but now I know what’s in there – oh that’s where my favorite sweater went! My favorite part of the Style Me Perfect experience was being able to text and video chat with my stylist! I sort of felt like a big deal. Here’s what happened… I was going to a concert that night and wanted to look cool but not like I was trying too hard 🙂 My stylist pulled from what I already owned in my closet plus the new leather jacket bought for a previous outfit they suggested, and voila! It is now my go-to “night out” outfit! Now for the BEST news ever…. 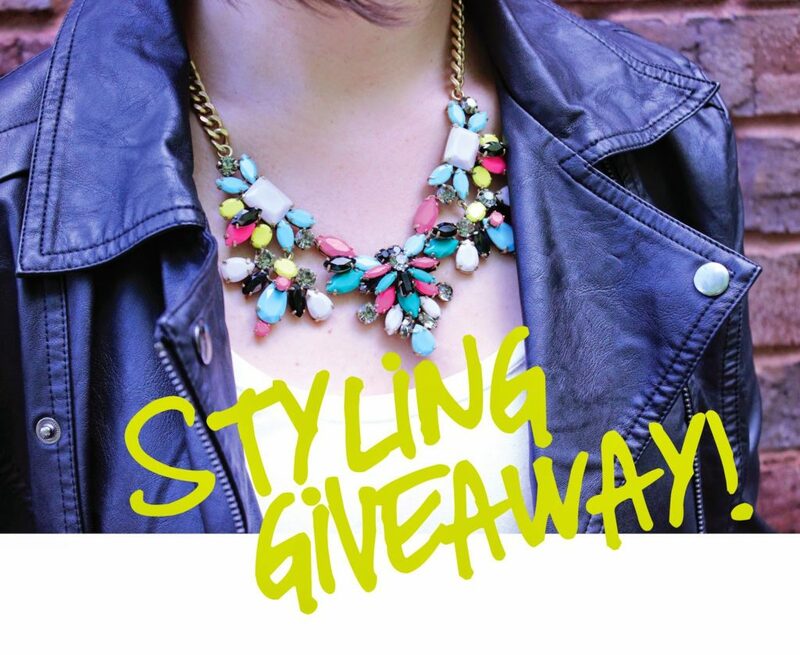 We are THRILLED to be partnering up with Style Me Perfect for an incredible giveaway! Whether you need outfits for date nights, job interviews, special events, or trips to the park with your kiddos, you will absolutely benefit from Style Me Perfect! It’s easy! Enter below by completing any one of the options provided. Leave a comment on what kind of outfit you might want styled for you. To rack up more entries, feel free to check off as many as you like. Plus it’ll make us feel super popular. Oh, and for ONE MORE chance to win, tag two friends on our Instagram post! Giveaway ends Thursday and the winner will be announced on our blogs Friday, May 23. I’ll be posting a few more outfits and board links in the next week. So obsessed. 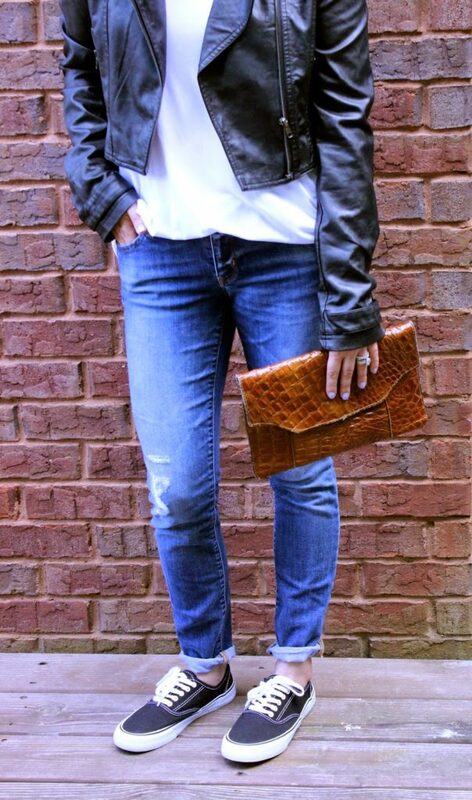 Check out Style Me Perfect’s BLOG for tons of outfit ideas! Beautiful – and so easy! !